There is nothing more empowering than being in control. Regardless of what you are doing in life, whether it be professional or personal, being the architect of your own destiny can make a world of difference. Being proactive and being the master of your own universe can have a huge impact on your cycling training. Controlling your own environment, rather than allowing it to control you, can be the difference between being a good cyclist and being a fantastic cyclist. Inner strength, self determination and the power to choose how you respond to the environment, weather conditions and general circumstances can give you a crucial edge, both mentally and physically. Either of those would be better than doing nothing. But to get there you need to motivate yourself and, yes, take the bull by the horns. Give yourself a target. Training is harder if you don’t have anything tangible to train for. So enter a race and give yourself plenty of time to get into optimum shape. If you simply do this, then you are being more proactive. Plus it will focus your mind and make every training session appear more important and precious, even if on a given day you only have a little time. In his excellent book The 7 Habits of Highly Effective People Stephen Covey alludes to personal leadership. He explains this is the art of leading oneself towards what you believe to be your goals by focusing on relevant activities to build a platform to avoid distractions. This can be successfully applied to cyclists. Riders who deploy a high level of personal leadership will be more productive and, ultimately, successful. If it’s cold and raining outside and you have a training session pencilled in, then it would be easier not to train or have a rest day. You might think that a cross-training session in a nice warm gym is an adequate compromise. Well, for some it might be. But if you want to succeed, you will need to motivate yourself to get out on the road and do the session. Your coach may not be available to give you a push, so it will have to come from within. And don’t forget, as is always the case of training in bad weather, you will feel a higher sense of achievement afterwards. This may sound like common sense but if you have a specific goal or aim in life, it is crucial to organise and implement your activities in line with achieving your goal. Imagine that deciding on your goal is the mental creation. Well, how are you going to get there? Unless you have a coach or a mentor who is with you 100% of the time to motivate you, your motivation will have to come from inside YOU. This process can be referred to as the physical creation: giving yourself the tools and strength to achieve your goal. So, as a cyclist, if you decide your goal is to try to finish in the top 20 of a specific race, you need to organise your training program and manage your diet, nutrition and rest to ensure you arrive at the start in the best possible shape to give you the best chance of achieving your aim. So be organised, manage your time efficiently and be proactive. Draw up a training schedule and stick to it. Don’t be distracted. If you do get distracted then make time elsewhere to do the training. If you have the necessary personal leadership and the self-determination to succeed, then you should also be mindful of interpersonal leadership, or teamwork. This is vital because all achievements are largely dependent on a co-operative effort with others. Success tends to follow a co-operative approach more naturally than the simple confrontation of win or lose. Creative co-operation is the principle that the whole is greater than the sum of its parts, which suggests we should recognize the good points and potential in other people’s contributions. So in terms of cycling be prepared to listen to advice, appreciate the help you get from your coach, be thankful for any support you receive from your family and friends and be willing to accept assistance. Yes, the main effort has to come from you, but don’t deliberately fly solo all the time: listen to the input of others. So thinking positive and being proactive is crucial if you want to be taken seriously as a cyclist. If you “walk the walk” and not just “talk the talk” then you are far likelier to achieve more in the saddle. But you need to think positive, make sure you have a specific goal, organise yourself and manage your time to make sure you achieve your goal, and take advantage of any collaborative help that you have at your disposal. Great article and spot on. Being personally proactive and leading ourselves can have a big impact on our cycling. I do 85% of my cycling between 5:15 AM and 6:15 AM each morning. 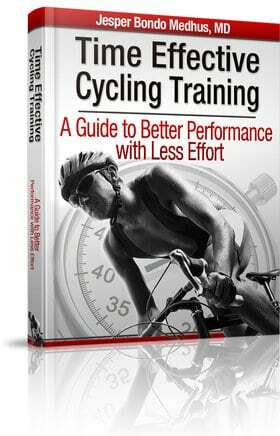 It’s only an hour but you can get a lot done whether it’s active recovery or intervals like you talked about. 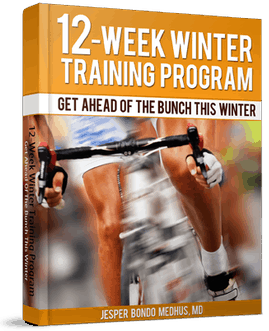 @Bryan – Your approach to training is a great example of what I recommend. Greta article! Having read most of your articles, i can definitely say that my riding has improved. Do you have any nutrition programs that compliment your 14/16/18 hour training programs? Cycling Pedalling Frequency – Fast or Slow?